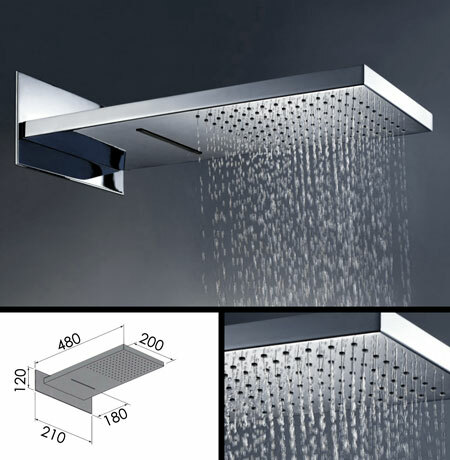 Impressive 2 function fixed shower head with a rain function or waterfall function choice. This fixed shower head is manufactured in solid brass with a thick chrome plating finish giving style and quality. * Dual shower pattern functions. * Min. 2 bar water pressure.